Home / Baby Care / Babies and Toddlers / Should you be worried about your clumsy toddler? Janice Heard, a community paediatrician and clinical assistant professor at the University of Calgary, explains that when toddlers start walking, they have a wide gait to help keep their balance. “A toddler walks with their feet a few inches apart—rather like they have a full diaper,” she says. Your kid needs to improve her fine motor skills? Set up an arts and crafts station!Parents should watch to see if their kids are toddling equally back and forth or if they seem to favour one side. An unbalanced gait could point to a weakness of one of the hip or leg muscles , or a sore foot or joint, or they may have an injury. It could also be an indication of an autoimmune disease. “Babies as young as two years old can also get juvenile arthritis,” explains Heard. Around three in a thousand Canadian children have childhood arthritis, according to the Arthritis Society. If parents notice a swollen joint accompanied by a fever, or their toddler won’t stand, Heard recommends going to the emergency room. In cases of extreme clumsiness, parents may fall down the Google rabbit hole and discover something called developmental coordination disorder (DCD), or dyspraxia. The condition affects fine and/or gross motor skills, and it isn’t uncommon, affecting five to six percent of Canadian children. 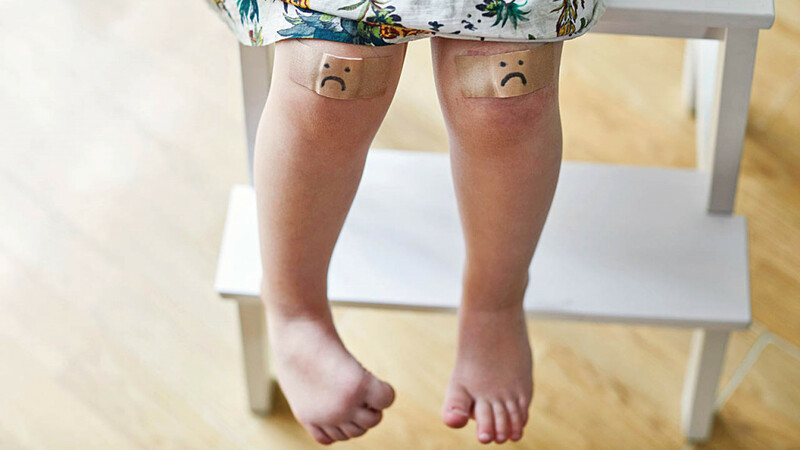 Heard says kids with DCD are often reluctant to try new physical activities because they find them difficult, and tasks like doing up buttons or learning to ride a bike are harder for them. Children with DCD have noticeable difficulty with motor skills in comparison to their peers. If you are concerned about DCD, speak to your family doctor or paediatrician. Most children start to walk independently between a year and 18 months. Even if your little one still loves to be carried, make sure to give them plenty of opportunities to practise. Ideally, toddlers should be working on their walking skills two to three hours a day, in an environment where they’re not going to hurt themselves. Kids are born naturally far-sighted and tend to bump into things that are close to them, but eye problems may still play a role in your toddler’s coordination. “A lot of times, vision problems get chalked up to toddler clumsiness, and eye conditions don’t get evaluated until school,” says Sheena Taff, a licensed optician in Vancouver. This turned out to be true in Neale’s case. When Elodie was three, they enrolled her in junior kindergarten, where the registration checklist included getting an eye exam. The test showed Elodie is nearsighted and has a “lazy eye” (amblyopia), requiring glasses. Taff says issues like amblyopia and strabismus (where the eyes are not aligned properly) are common in children. “In most cases, these things can be corrected with patches, glasses and treatment when they are young,” she says. 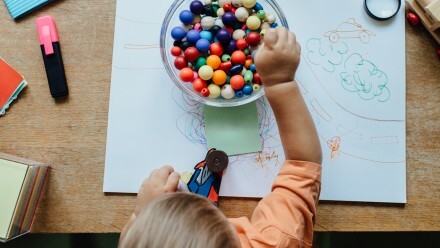 Along with clumsy behaviour like bumping into things, watch for whether your kid seems to have difficulty grabbing objects, as this could mean an issue with depth perception. If they’re tilting or turning their head a lot when trying to look at something, it may point to an astigmatism. Crossing one or both eyes when holding a toy is another red flag, explains Taff. But one of the most common signs of a vision issue is eye rubbing—and not just when they’re tired. “It’s a natural response to blurred vision,” she says. Taff recommends parents take their kids for an eye exam when they’re a year old. If there’s a family history of vision issues, get a referral from your doctor to see a paediatric ophthalmologist.